Vosges is a company that makes all things chocolate. They have chocolate truffles, pancakes, nuts, candy bars, etc. I am not a huge fan of plain chocolate so I asked the company if I could try one of their mixes and their red fire pecans. The red fire pecans are covered in a chili powder seasoning and taste great. I think that they would be good chopped on top of a salad. I have caramel toffee chocolate chunk brownie mix yet but am excited to. This product retails for $18 so I am saving it for a very special occasion. Another product that I really would love to try is their bacon pancake mix. Sounds interesting! I'm a follower and l would be so delighted if you would follow back. Thanks for stopping by DragonFly Sweetnest. I am following back also! I look forward to reading all your great info. Glad you visited my blog, Amanda! You have some great info on your blog. Oops, I'm eating choc. pretzels right now! Haven't had any healthy living posts on there yet. Would love to have you! Wow...if you are making brownies, that is definitely the way to go! Let me know how they turn out! Thanks for the follow from FMBT Amanda. So glad we found eachother, your blog is just what I need. Between my pregnancy and medications I take I have gained a lot of weight in the last 2 years that I am finally in the right mind set to shift. It is going real well so far but chocolate is my weakness! Looking forward to your updates! I always find great information here -- although I must admit to being a serious chocoholic :-) So this might be something I should try! I hopped over from Paisley Passions, love what you have going on here. My husband and I try to eat healthy as much as possible and I think your blog will help me out! 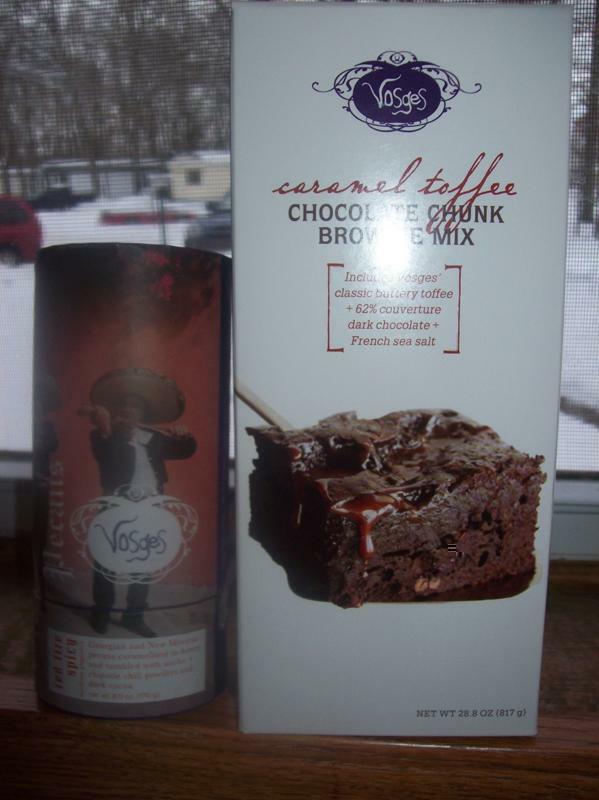 $18 for a brownie mix sounds pretty high, but maybe it is the best brownies that you have ever eaten! I am a new follower via the Let's Get Social blog hop. Please stop by my new blog and follow back! There isn't too much content yet, as it is very new, but I plan on adding to it regularly and will be having an awesome giveaway once I hit 100 followers!